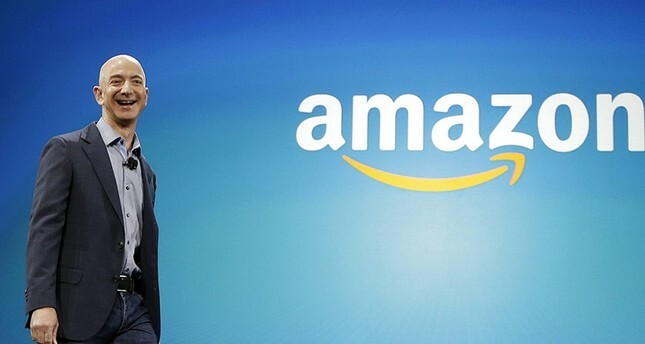 Amazon CEO Jeff Bezos is now worth more than Microsoft co-founder Bill Gates and Google co-founder Larry Page combined. His net worth hit $150 billion for the first time. Shares of Amazon.com have risen for eight straight days and gained $9.46, or 0.5 percent, on Monday, when the online retailer kicked off its annual global shopping sales event, Amazon Prime Day. Company shares closed at a record $1,822.49 on Monday. Amazon stock has skyrocketed more than 55 percent this year, which has added more than $50 billion to Bezos’ net worth in less than seven months. That makes Bezos richer than anyone else since at least 1982, when Forbes published its wealth ranking. The e-commerce giant, which currently has a market value of more than $890 billion, is close to surpassing Apple as the world’s most valuable company. In 1999, at the height of the dot-com boom, the wealth of Microsoft’s Bill Gates briefly hit the $100 billion mark, which would be worth about $149 billion in today’s inflation-adjusted terms. According to Forbes’ 2018 rating, Gates is second on the rich list with his $93.6 billion net worth. Rounding out the current top five richest people behind Bezos and Gates: Berkshire Hathaway CEO Warren Buffett ($83 billion), Facebook CEO Mark Zuckerberg ($83 billion), and Amancio Ortega ($75 billion), founder of retailing group Inditex.